No, it isn’t made out of rabbit. It is a white, with a soft chew texture. It is similar to a taffy. There is also a wax paper around it once you open it and that’s edible! It was said that 7 of these candies are equivalent to one cup of milk!! The original flavor is vanilla but they have many other flavors like chocolate, coffee, peanut and many more! If you haven’t tried it before, you should definitely give it a try! Think of it as milk taffy!! 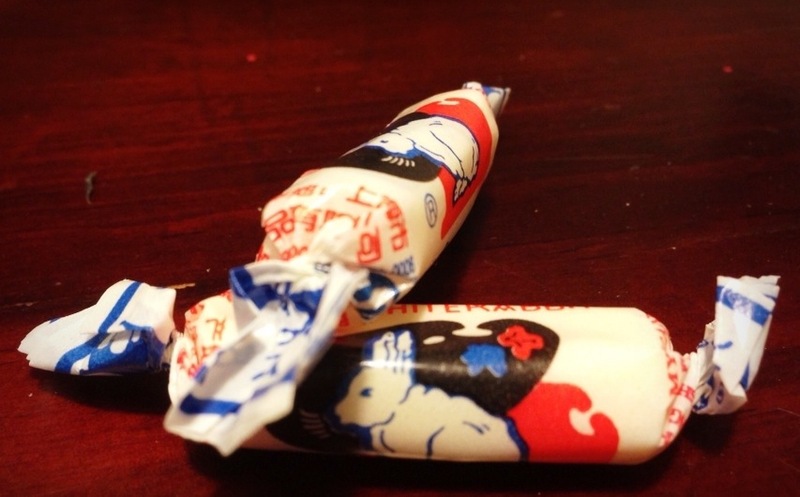 Food: white rabbit creamy candy.